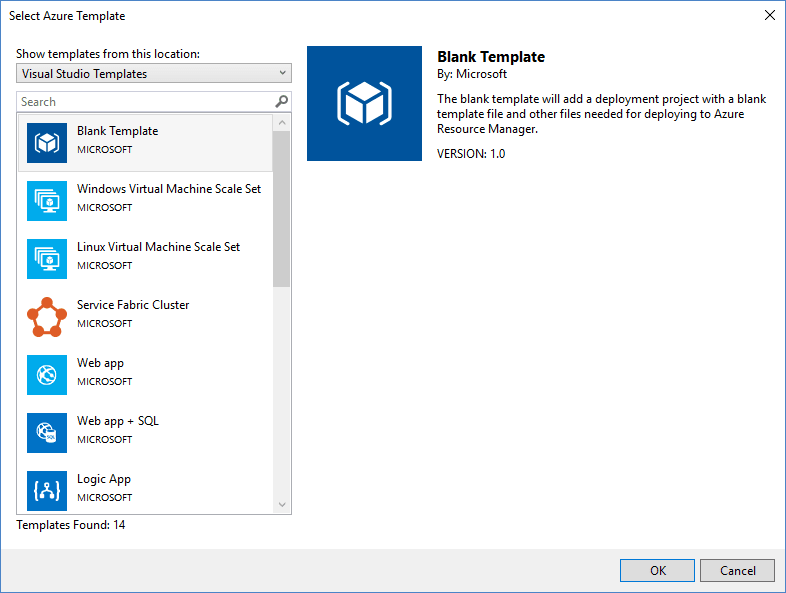 Lately I have been working more closely with Azure Resource Manager (ARM) on a DevOps project and wanted to share a few quick tips on working with ARM templates. If you have not used ARM yet, then head over to this page for an overview. 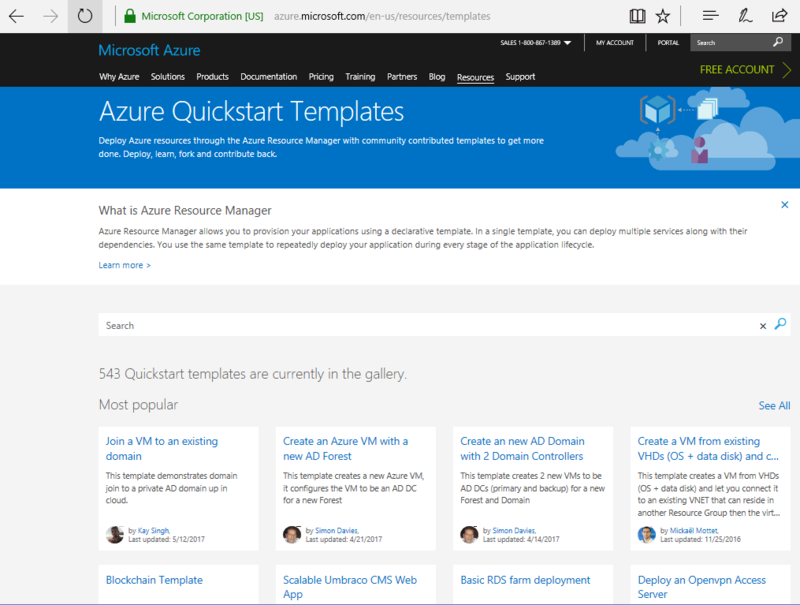 Also, here is a excellent introductory blog post about Azure ARM. 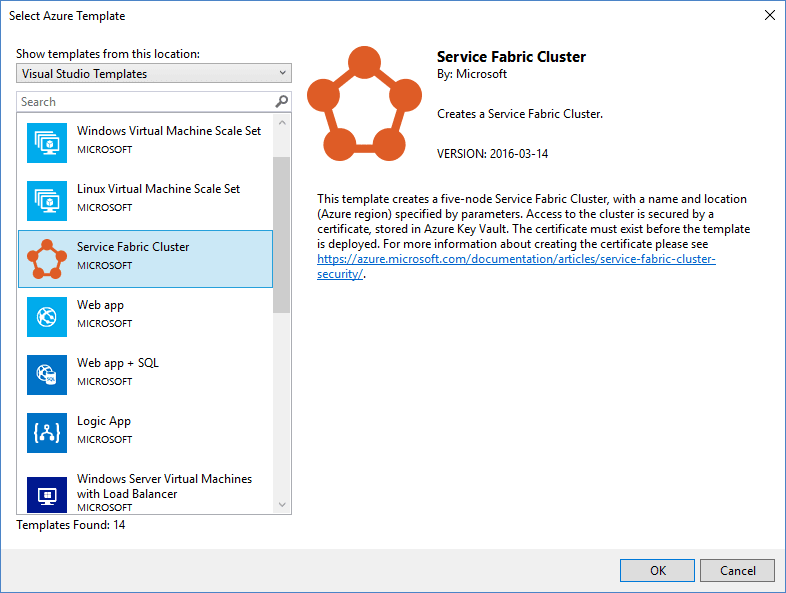 In my own words, I would simply say that Azure Resource Manager (ARM) is a way to automate the deployment of your infrastructure and applications. If you are doing any kind of DevOps in your enterprise, then you quickly realize the power of ARM for automating your entire deployment pipeline. However, the other advantage of using ARM is that you can also centrally manage the source code that makes up your entire infrastructure. 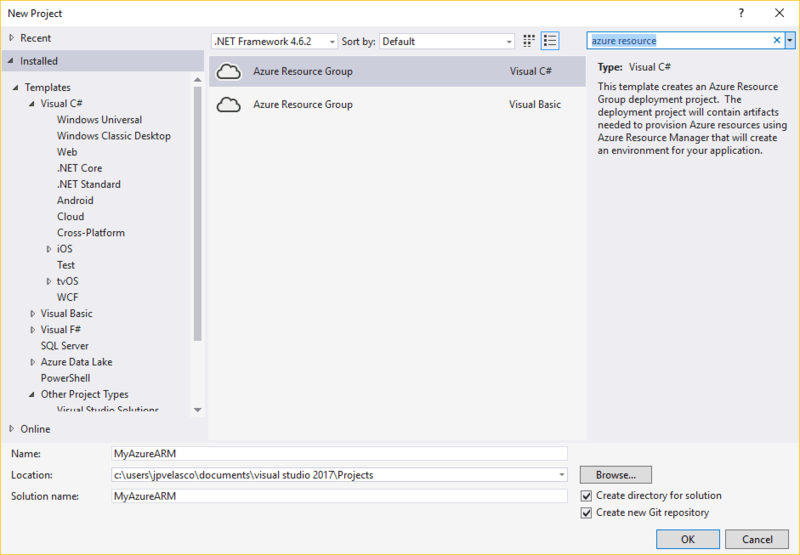 If you are using Visual Studio 2017, then you also have the advantage of access to the ARM templates. As you can see, ARM is a pretty compelling technology that will help you in your quest to automate all the (cloudy) things! Use it to automate your infrastructure and save your changes in source control (Git) so you can version out your infrastructure (as code) and continue to grow your enterprise at cloud scale. That is all for now, hope this helps and happy DevOps!